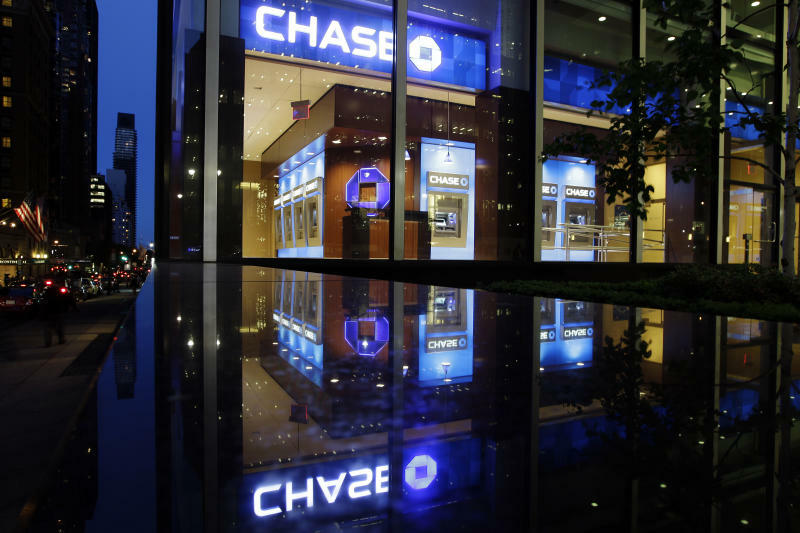 WASHINGTON (AP) — JPMorgan Chase faced intense criticism Friday for claiming that a surprise $2 billion loss by one of its trading groups was the result of a sloppy but well-intentioned strategy to manage financial risk. More than three years after the financial industry almost collapsed, the colossal misfire was cited as proof that big banks still do not understand the threats posed by their own speculation. "It just shows they can't manage risk — and if JPMorgan can't, no one can," said Simon Johnson, the former chief economist for the International Monetary Fund. JPMorgan is the largest bank in the United States and was the only major bank to remain profitable during the 2008 financial crisis. That lent credibility to its tough-talking CEO, Jamie Dimon, as he opposed stricter regulation in the aftermath. But Dimon's contention that the $2 billion loss came from a hedging strategy that backfired, not an opportunistic bet with the bank's own money, faced doubt on Friday, if not outright ridicule. "This is not a hedge," said Sen. Carl Levin, D-Mich., chair of a subcommittee that investigated the crisis. He said the trades were instead a "major bet" on the direction of the economy, as published reports suggested. On Friday, Dimon told NBC News, for an interview airing Sunday on "Meet the Press," that he did not know whether JPMorgan had broken any laws or regulatory rules. He said the bank was "totally open" to regulators. The head of the Securities and Exchange Commission, Mary Schapiro, told reporters that the agency was focused on the JPMorgan loss but declined to comment further. JPMorgan's disclosure Thursday recharged a debate about how to ensure that banks are strong and competitive without allowing them to become so big and complex that they threaten the financial system when they falter. The JPMorgan loss did not cause anything close to the panic that followed the September 2008 failure of the Lehman Brothers investment bank. But it shook the confidence of the financial industry. Within minutes after trading began on Wall Street, JPMorgan stock had lost almost 10 percent, wiping out about $15 billion in market value. It closed down 9.3 percent. Fitch Ratings downgraded the bank's credit rating by one notch, while Standard & Poor's cut its outlook JPMorgan to "negative," indicating a credit-rating downgrade could follow. Morgan Stanley and Citigroup closed down more than 4 percent, and Goldman Sachs closed down almost 4 percent. The broader stock market was down only slightly for the day. Dimon gave few details about the trades Thursday beyond saying they involved "synthetic credit positions," a type of the complex financial instruments known as derivatives. Enhanced oversight of derivatives was a pillar of the 2010 financial overhaul law, known as Dodd-Frank, but the implementation has been delayed repeatedly and will not take effect until the end of this year at the earliest. JPMorgan's trades show that the derivatives market remains too opaque for regulators to oversee effectively, said Rep. Barney Frank, D-Mass., one of the law's namesakes. "When a supposedly responsible, well-run organization could make such an enormous mistake with derivatives, that really blows up the argument, 'Oh, leave us alone, we don't need you to regulate us,'" he said. Criticism of the bank did not stop with its traditional chorus of detractors. It also came from Sen. Bob Corker, R-Tenn., a prominent member of the Senate Banking Committee who has received $10,000 since January 2011 from JPMorgan's political action committee, the most any candidate has received. Corker, a leader of a failed effort last year to block a Federal Reserve rule that slashed bank profits from debit cards, called for a hearing "as expeditiously as possible" into the events surrounding JPMorgan's loss. Tim Ryan, president of the Securities Industry and Financial Markets Association, a trade group, said it was impossible to legislate or regulate risk out of the financial system. "My hope is that this is viewed as bona fide hedging, but it went wrong," he said in an interview. "A mistake was made. Money is going to be lost. It's not customer money. It's not government money. It's JPMorgan's money, the shareholders of JPMorgan." No one seemed to suggest Friday that JPMorgan had broken a law. But the mistake added a wrinkle to the still-unsettled discussion about how the financial industry should be regulated in the aftermath of 2008. "This just tells you that we are a long, long way from getting our arms around this whole 'too big to fail' issue," said Cliff Rossi, a former top risk executive for Citigroup, Countrywide and other big financial companies. Immediately after the crisis, a time of popular outrage over bailouts and investment losses, there was broad public support for an overhaul of bank regulations. The changes promoted by the Obama administration were in many cases similar to what the financial industry had sought before the crisis: Consolidation of regulators and oversight of the multi-trillion-dollar marketplace for derivatives. Regulators are still drafting hundreds of rules under the 2010 law. As Wall Street has returned to record profits, and executives to million-dollar bonuses, banks have fought to soften those rules. In particular, the industry has fought hard against a few provisions that might have prevented the problems at JPMorgan. One is the so-called Volcker rule, which will prohibit banks from trading for their own profit. The rule is still being written, and the Federal Reserve has said it will begin enforcement in 2014. JPMorgan said that its bets were made only to hedge against financial risk. 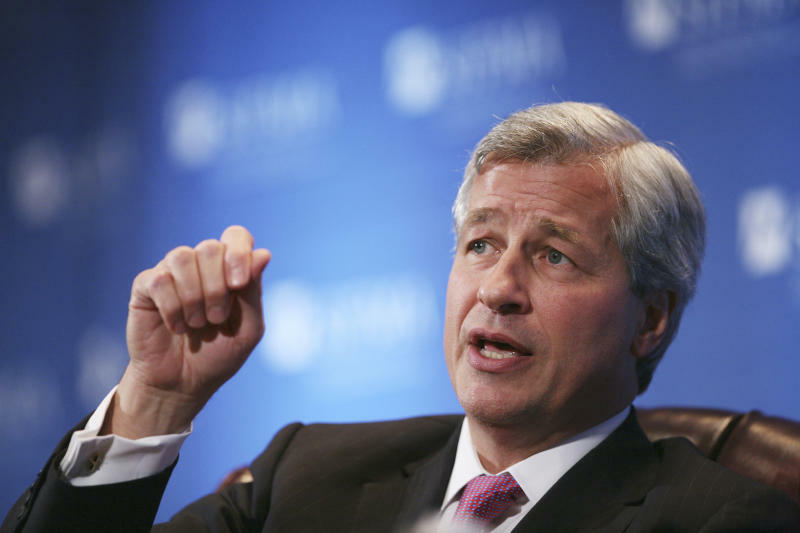 Dimon conceded that the strategy was "egregious" and poorly monitored. But analysts, former bank executives and many lawmakers disagreed. "This is an exact description of proprietary trading-style activity," Sen. Jeff Merkley, D-Ore., told reporters Friday. "This really is a textbook illustration of why we need a strong Volcker rule firewall." Nancy Bush, a longtime bank analyst at NAB Research and a contributing editor at SNL Financial, said the trades probably crossed that line because they were making money for JPMorgan. "So they made money on hedges and then they hedged some more," she said. "At some point it goes from being a hedge to being a moneymaker." JPMorgan was seen as a savior of weaker banks during the financial crisis and the only big bank to escape relatively unscathed. His reputation enhanced, Dimon, 56, has been emboldened to challenge efforts to toughen regulation. In an interview with the Fox Business Network earlier this year, Dimon said that Paul Volcker, the former Federal Reserve chairman for whom the rule is named "doesn't understand capital markets." Last year, he questioned the current Fed chair, Ben Bernanke, about the rules and said they might be delaying the recovering of the financial system and the broader economy. "Has anyone bothered to study the cumulative effect of all these things?" he asked. Dimon, who grew up in the Queens borough of New York and was groomed by the former Citigroup chief executive Sanford Weill, has also chafed against Occupy Wall Street protesters. "Acting like everyone who's been successful is bad and that everyone who is rich is bad — I just don't get it," he said at a conference earlier this year. On Thursday, at about the same time he was breaking news of the $2 billion loss to Wall Street, Dimon sent an email to JPMorgan's 270,000 worldwide employees assuring them that the company was "very strong." AP Business Writer Marcy Gordon, AP Business Writer Pallavi Gogoi and Associated Press writer Jack Gillum contributed to this report.